Andrew R. Tanzillo was born in 1955 and was raised in Calumet City, Illinois. He attended T.F. North High School, where he participated in football, basketball, and track. He attended Valparaiso University and earned his Bachelors of Arts Degree with Distinction in 1977. He continued his education at Valparaiso University School of Law, and earned his Juris Doctorate Degree in 1980, and was admitted to practice law in the State of Indiana that same year. In his many years of practice in Lake County, Indiana, Mr. Tanzillo has developed a substantial practice in family law matters including dissolution of marriage, custody, support, visitation and paternity matters. In addition, he has also concentrated his practice in criminal misdemeanor and traffic law including operating while intoxicated cases. 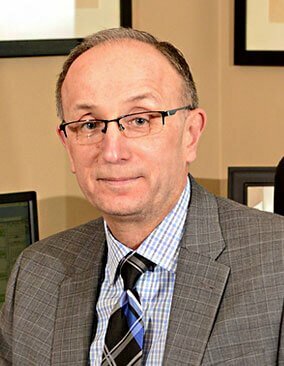 Also in 1981, Mr. Tanzillo was appointed by the Court to serve as a Public Defender in the Lake Superior Court, County Division, Room Number One, to represent indigent defendants in criminal and traffic matters. Mr. Tanzillo is a member of the Indiana State Bar Association and the Lake County Bar Association. He resides in Munster, Indiana with his wife and two children.